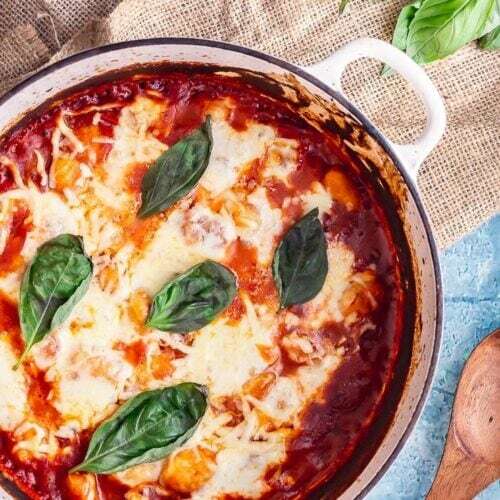 This one pot gnocchi bake with rich tomato sauce and topped with melty mozzarella cheese is a comforting vegetarian dinner. It’s perfect for a weeknight family dinner! One pot dinners are my jammmm. 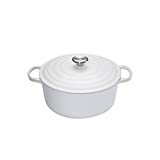 I am somewhat obsessed with the whole concept because I hate tidying up and cleaning, especially after being at work all day, so only using one pot means I can spend more time in front of Netflix with Will and Bernie instead of cleaning up the kitchen. 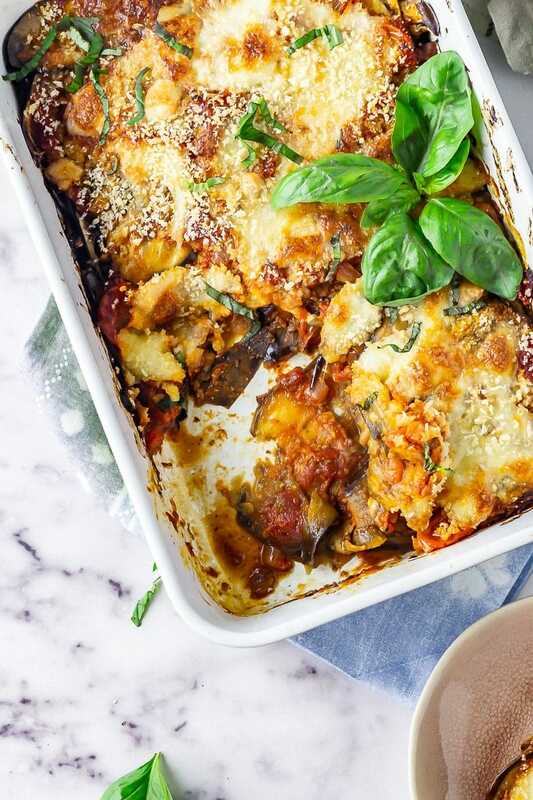 They also tend to be pretty easy to make, whether it’s a one pot fish stew or a one pot pasta bake, they are perfect for people who want easy weeknight dinners fast. Of all the one pot recipes I’ve tried I think pasta and gnocchi lends itself the best to this method. 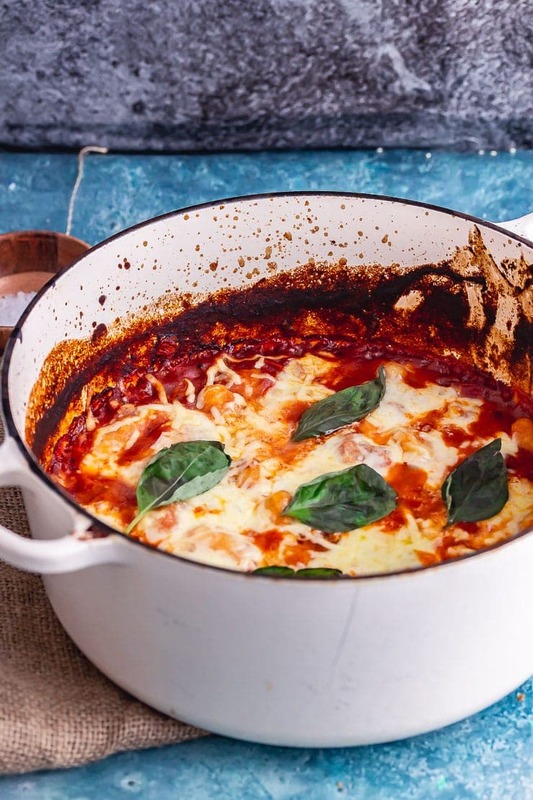 One of my all time favourites is my one pot lasagne which bakes into a rich, comforting dish in no time at all but now this gnocchi is vying for first place on that list. 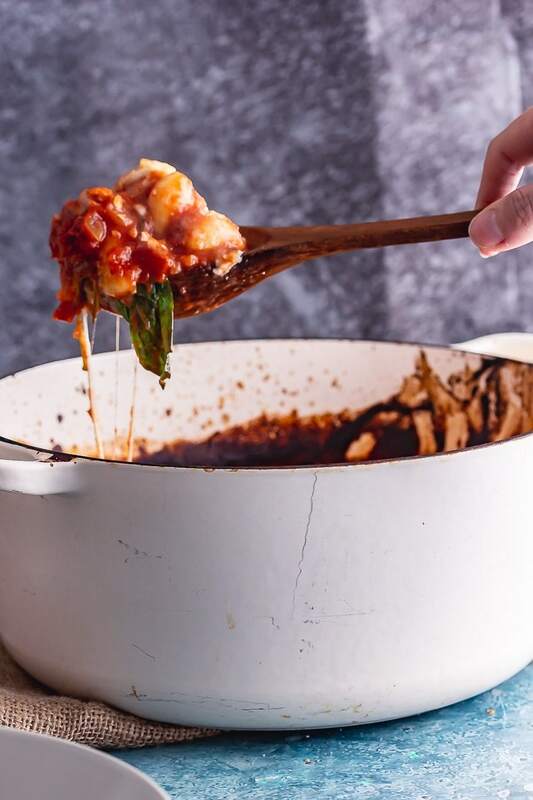 So to make this one pot gnocchi bake I started off by making a simple but flavourful tomato sauce. I had planned to add milk to the sauce but when it came to making the recipe we only had almond milk so I used that instead and it worked really well. I mentioned before we’ve been trying out different plant based milks recently. 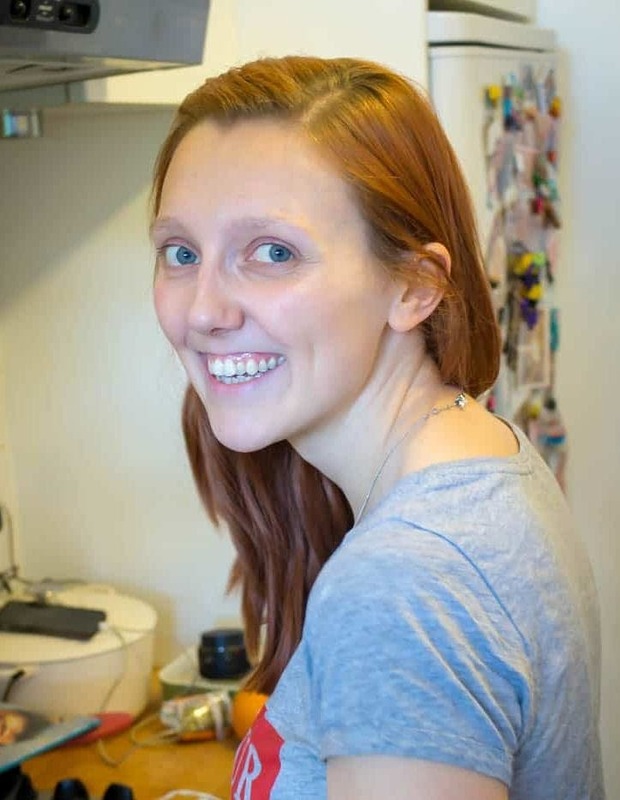 I’d been able to make really good hot drinks with them including oat milk in tea, cashew milk hot chocolate and almond milk lattes but I hadn’t tried them in cooking before this sauce and I was really pleased with the results. Other than the milk I added red wine and plenty of herbs to the sauce to really round out the flavour then I stirred through the gnocchi and topped the whole thing with mozzarella and a handful of grated cheddar before baking for 15 minutes. Keep scrolling to the bottom of this post to get the full recipe! Start the sauce: Heat the oven. Fry the onions gently in olive oil then add the garlic and cook for a little longer. Add liquids and seasonings: Pour in the tomatoes, milk and red wine then add the bay leaf and oregano and simmer for 15 minutes. Can you freeze gnocchi bake? 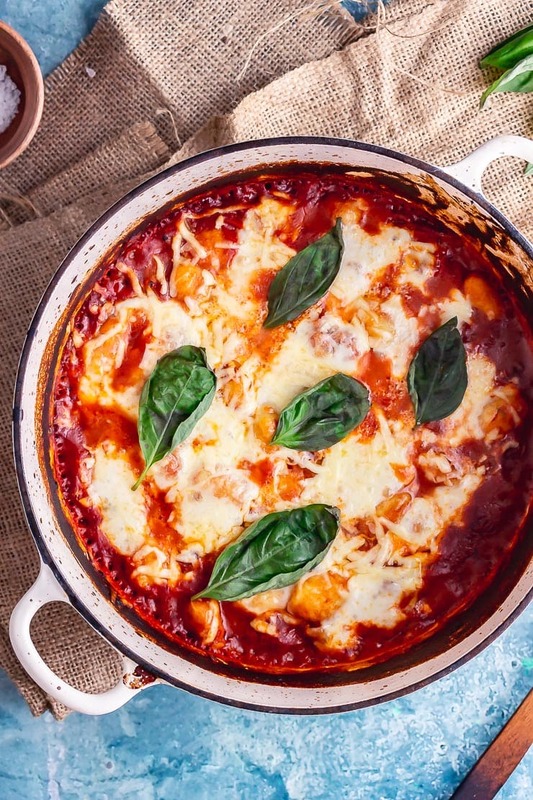 Short answer is yes you can freeze this gnocchi bake. 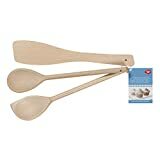 Long answer is that, although it’s fine to freeze this recipe, it will change the texture of the dish. As the gnocchi is already cooked it’s quite likely to become a little mushy once you reheat it. Personally, I’m fine with that and all the flavours are still delicious after freezing but if you aren’t a fan or mushiness then I would avoid freezing. 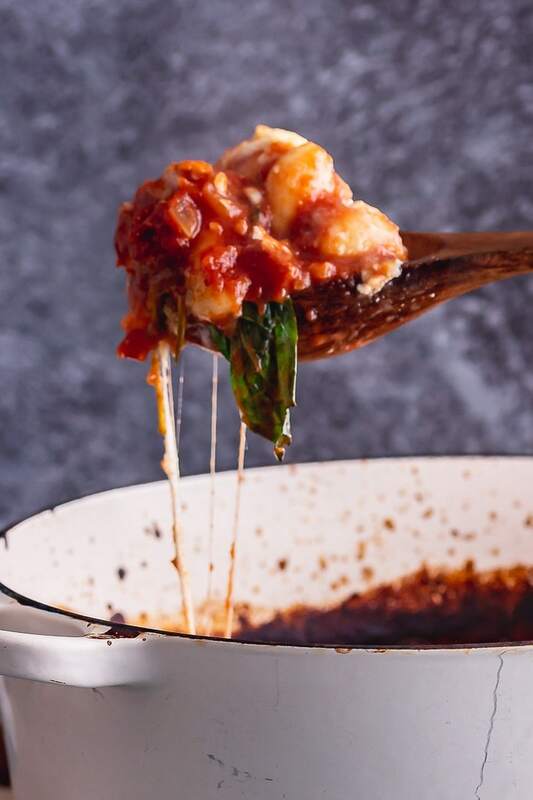 What to serve with gnocchi bake? I normally serve this as a meal in itself but if you’d like a little more then I’d go with a big green salad or, if you’re feeling extra carby, some garlic bread. Want more? 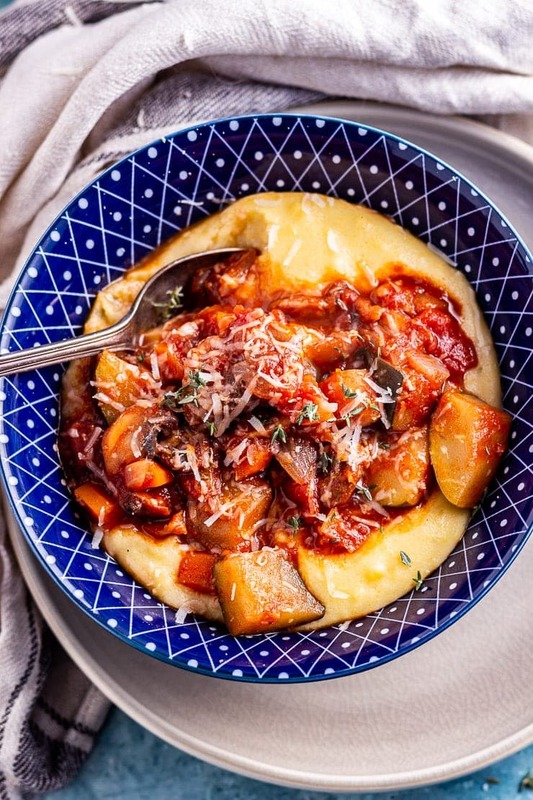 Try these other gnocchi recipes! 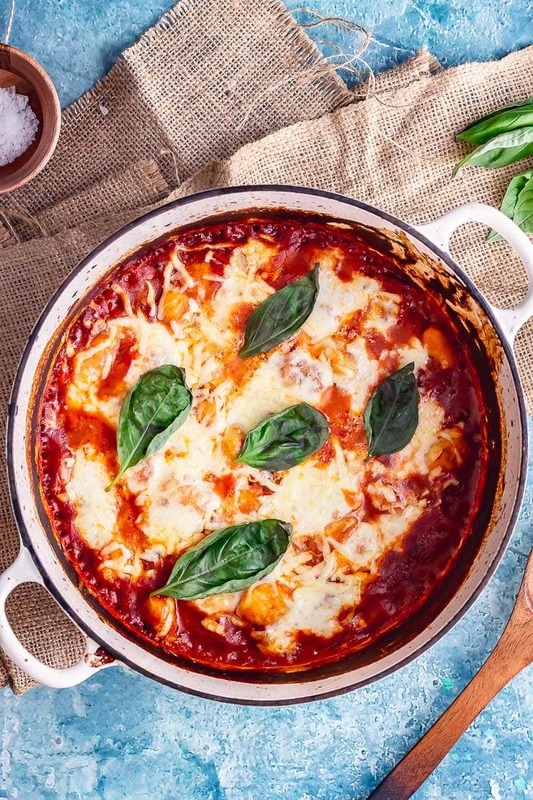 WONDERING WHAT TO DO WITH THE LEFTOVER INGREDIENTS YOU’VE GOT FROM MAKING THIS ONE POT GNOCCHI BAKED WITH TOMATO & MOZZARELLA? Heat the oven to 210°C/410°F. Heat the oil in large skillet or pot over a medium low heat, add the onions and fry for a couple of minutes. Season well. Add the garlic and cook for another couple of minutes. 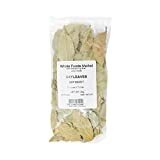 Pour in the tomatoes, wine and milk followed by the bay leaf and oregano, bring to a simmer and cook for 15 minutes. Add the gnocchi and stir through. Remove from the heat, top with the mozzarella and cheddar, place in the oven and bake for 15 minutes. Serve topped with basil. Like the look of this recipe? Make sure you pin this recipe for later! Wow! This looks delicious and comforting all at once. I love it. The idea of it being in one pot saves so much time and effort. It is my kindof meal. Thanks for sharing! I love gnocchi! It’s so filling and this one-pot meal is perfect because I don’t have a ton of dishes to wash afterward! Thank you! That is comfort food at it’s finest! I especially love the one pot aspect! I would rather be sitting it front of Netflix too. I so agree…comfort food at its finest! Saving to try! 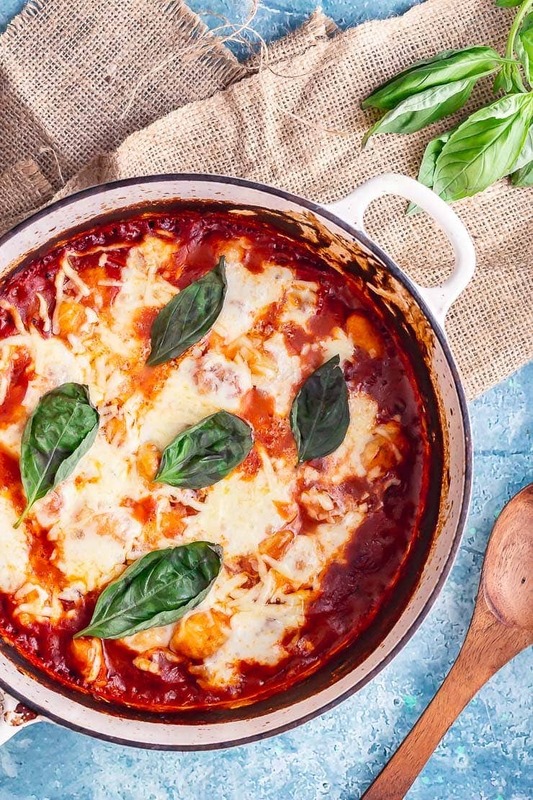 Oooh this oozy cheese gnocchi bake looks absolutely delicious! 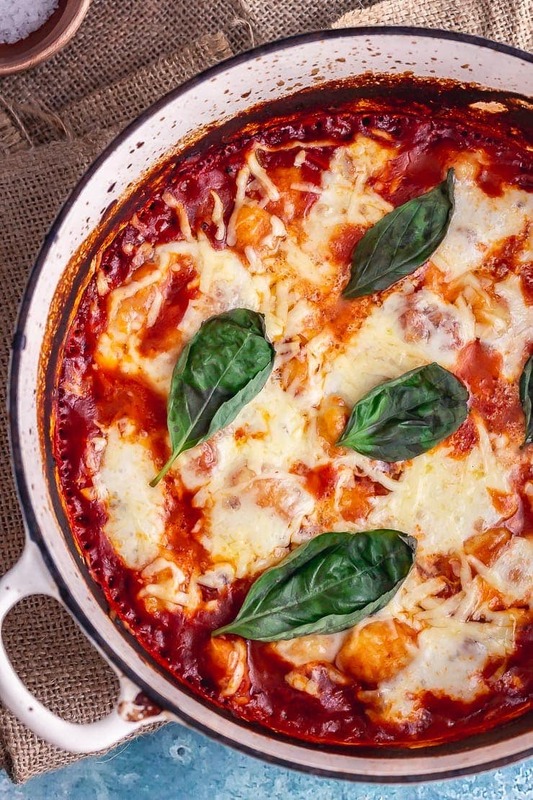 This baked gnocchi looks so good! 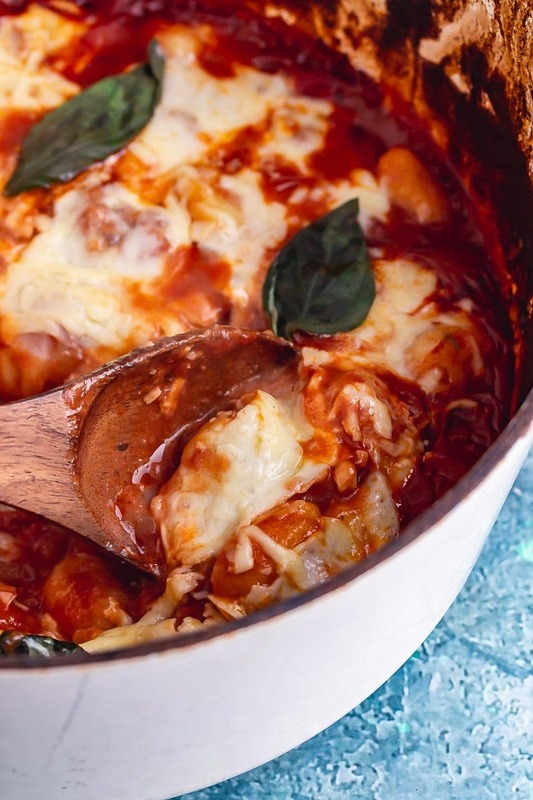 The perfect easy comfort food full of sauce and cheese. Delicious! This sounds great! 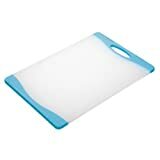 I want to try it for my lunches but I feel like it needs some sort of salad with it, can you recommend any?